Female students are much more likely to indicate a lack of knowledge over STEM career options. 58% of respondents were female, 41% male and 1% identified as non-gender binary. However, of the 29% of undergraduates that do not know what jobs to apply, 67% were female. The gender divide became even clearer when students were asked about their exposure to the workplace, with 56% of students surveyed saying they had never visited an industry facility. Of those who had never visited an industry facility, 66% were female. In total, 33% of those surveyed said they would not be comfortable contacting a person working in industry about potential job opportunities. In an effort to address these issues, Johnson & Johnson (J&J) has announced that the WiSTEM2D programme will expand to University College Cork (UCC) this October. WiSTEM2D stands for Women in Science, Technology, Engineering, Mathematics, Manufacturing and Design. It is part of J&J’s commitment to building a diverse scientific community and accelerating the development of women leaders by supporting them at all stages of their lives. The programme in Ireland is underpinned by 13 global partnerships with academic institutions in the US, Japan and South America. In Ireland, a lack of female role models has been identified as a barrier to women pursuing STEM careers. 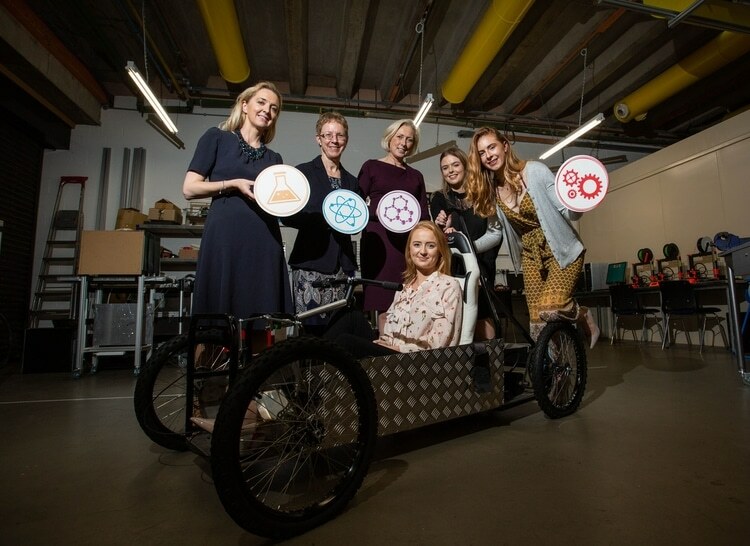 The WiSTEM2D programme is unique in terms of offering young women studying STEM2D courses the opportunity to engage with women working in these careers. First-hand experience of site tours, mentoring, project and career workshops enable students to visualise exactly what it is like to have a career in STEM. Speaking on behalf of J&J at the UL launch event, Mark Devine, Senior Director at EMEA software development centres said, “We know that increasing female participation in STEM careers remains a global challenge. At J&J, we are committed to helping bridge the gender gap by continuing our partnership with the team here at UL and by extending the WiSTEM2D programme in Ireland with an exciting new partnership with UCC”.